It's fall break at the University of Utah, so my husband had the week off. We decided to skip brave the long drive down to Lake Powell for a few days to check it out. We entered the Glen Canyon National Recreation Area at Bullfrog, UT. Created by the Glen Canyon Dam in 1963 (although the Dam itself was not officially completed until 1977), Lake Powell is the second largest artificial lake in the United States. It straddles the Utah and Arizona borders, and is generally a playground for those individuals with power boats, time, and gas money. Because we lacked the huge chunk of change to rent a power boat, my mate and I decided to kayak around a little. We barely made a dent in our proposed plan (we wanted to see Moki Canyon) but we ended up bringing our kayaks ashore in a small, unnamed inlet somewhere north of Bullfrog. While hiking around the shoreline, we noticed quite a few bass in the water. We knew that there were fish in the lake because of the sheer amount of sunburned fishermen "pre-fishing" for this coming weekend's Ultimate Bass Team Tour Tournament of Champions. In fact, a fishing boat came into our secluded canyon only moments after we noticed the fish, intent on their capture. Watching the age old battle between man and fish got me thinking about those fish and about the stocking of Lake Powell. In 1962, authorities in Arizona and Utah decided that there should be fish in Lake Powell, and they went about looking into stocking the area with sport fishes. One particular hurdle to stocking the Lake was its location- there were only one access point to the Lake overland in 1963, and that point was scheduled to be flooded by the incoming water. Officials in Utah and Arizona, in consultation with the United States Bureau of Sport Fisheries and Wildlife (created in 1956 as a section of USFW), decided that the best beat for stocking might be by plane. Stocking bass in Lake Powell by air, 1963. In 1963, almost 4 million trout and 924,000 large mouth bass were dropped from a plane 300 feet from the surface traveling at approximately 100 miles per hour. The next year, the size of Lake Powell had continued to expand and the states requested another stocking. In April 1964, the first drop of the season was made. This time, more care was taken to acclimate the bass fry- the hatchery water was dropped from 73 to 54 degrees while the fishes were in the plane. Each drop last about 25 seconds- distributing about 500 pounds of bass over about a mile of the lake's surface. Fisheries biologists waiting on the Lake immediately seined for surviving fishes and pronounced the drops a great success, with little loss of life- even though the fish were in route to the lake for almost 5 hours before being dropped. As evidenced by the Bass Tournament coming up this weekend, the stocking of Lake Powell was successful. In 1968, threadfin shad, a favorite meal to the large mouth bass, was stocked, making Lake Powell a great destination for sport fishing. But everything is not perfect in Lake Powell. In 2002, six gizzard shad were reported in the San Juan arm of the Lake. Since then, gizzard shad have spread throughout the entire lake. While large mouth bass do feed on gizzard shad, they can only do so during the gizzard shad's juvenile stages. Once the gizzard shad achieves its full size, the bass can no longer prey on these organisms. Biologists believe that gizzard shad might eventually overtake and crowd bass in the Lake. Beyond concerns about the gizzard shad, conservationists have turned their attention to preventing the entrance of zebra mussels and New Zealand mud snails from Lake. So far, their efforts have been successful, but if the gizzard shad is any indication, it will be an uphill battle to prevent the introduction of invasive species from the area. Both of these invasive species are transferred on watercraft- the only way to get around this recreation area. Interesting! Was dropping fish out of a plane a normal stocking technique, or was it unique to Lake Powell due to its size and location? It seems new at the time- keeping fish alive during air transit was a major problem. They can't really keep from hitting the side of containers and this causes the fish injury. They also have oxygenation issues as well as some major problems with impure water conditions. 5 hours in the hold of an airplane is difficult for any animal- but especially fishes. The USBF did a lot of experiments with freezing fish and then trying to revive them for air travel, but it didn't really work out that well. 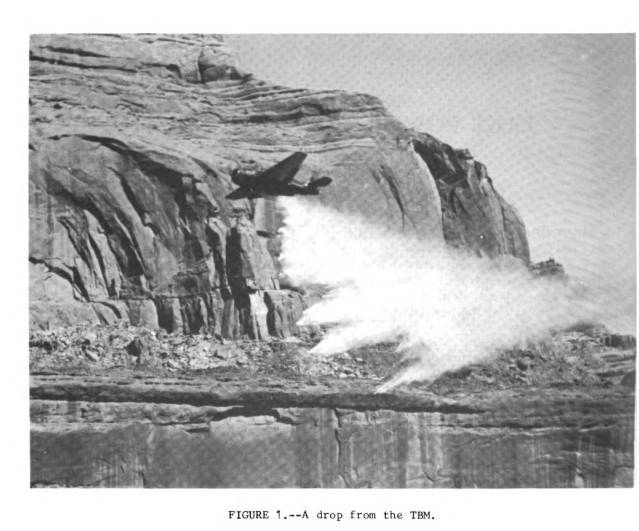 Although the article I read about stocking Lake Powell didn't really help me understand why they lowered the water temperature of the tanks with ice in 1964, I assume it has something to do with immobilizing/slowing the fish for transit (especially because the water temperature at Lake Powell is in the 70s). Transporting fish by air is much easier now, although transporting by car or boat is much preferred. That's not really an answer. Basically- the articles I read about the stocking suggested it was new and exciting so it must have been! So much fun! I can't believe I lived in Utah for five years and never went to Lake Powell. The Eye of a Kraken is probably twice as big!